Digital pathology has experienced exponential growth, in terms of its technology and applications, since its inception just over a decade ago. Though it has yet to be approved for primary diagnostics, its values as a teaching tool, facilitator of second opinions and quality assurance reviews, and research are becoming, if not already, undeniable. It also offers the hope of providing pathology consultant and educational services to underserved areas, including regions of the world that could not possibly sustain this level of services otherwise. And this is just the beginning, as its adoption by the also rapidlyemerging fields of medical systems biology and 3D tissue imaging indicate. Nederland is koploper inzake digitalisatie van medische beeldvormende data. Eigen bedrijven zoals Philips staan hier zelfs wereldwijd om bekend. In dit artikel nemen we u mee naar de pathologie om te zien hoe de opgedane ervaring met digitale technieken het landschap hier in hoog tempo gaat veranderen. Biobanken worden beschouwd als essentieel voor de bevordering van onderzoek en ontwikkeling in de levenswetenschappen. Translationeel biomedisch onderzoek is gebaseerd op grote verzamelingen hoogwaardige proefstukken gecombineerd met grote sets van goed gedocumenteerde gegevens van patiënten en controles. Dergelijke collecties zijn van het allergrootste belang in wetenschappelijke proeven, zowel aangestuurd door onderzoekers als door bedrijven. 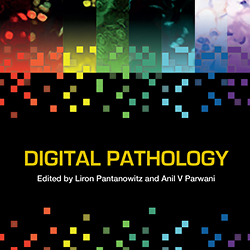 An extraordinarily comprehensive and complete book for individuals with anything from minimal knowledge to deep, accomplished experience in Digital Pathology. International consensus guidelines for scoring the histopathological growth patterns of liver metastasis. Liver metastases present with distinct histopathological growth patterns (HGPs), including the desmoplastic, pushing and replacement HGPs and two rarer HGPs. The HGPs are defined owing to the distinct interface between the cancer cells and the adjacent normal liver parenchyma that is present in each pattern and can be scored from standard haematoxylin-and-eosin-stained (H&E) tissue sections. The current study provides consensus guidelines for scoring these HGPs.